Urban Manta teaches its students proper trim, buoyancy, and awareness. We’ll review footage of you underwater so you can be in complete control of yourself while diving. 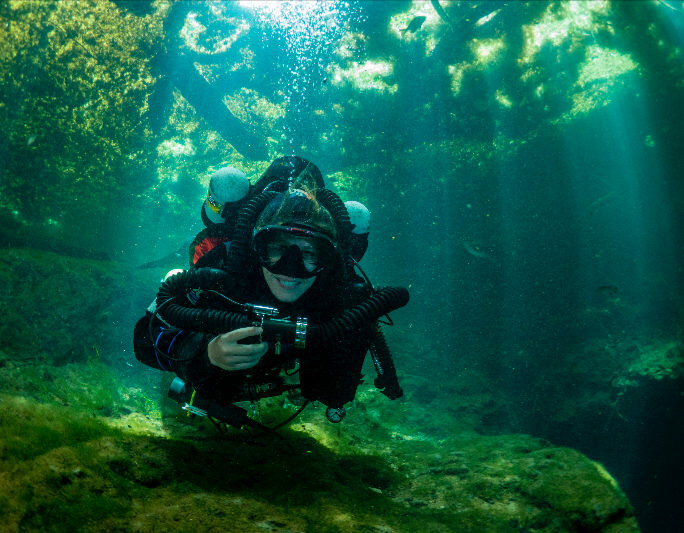 Small classes allow extreme personalization to properly learn diving techniques. Did my wreck course with Urban Manta. Sandra is safe, experienced and knowledgeable. She is organized and has great advice and techniques. I felt very safe diving with Sandra. Class was fun, professional and I would recommend Urban Manta to everyone! She explained gear assembly to me as many times as I needed it. She is truly a professional and pays attention to detail and safety, making sure I retained all the necessary information. I’m not the most comfortable person underwater but felt at ease with her. Highly recommended! Learn about New York City’s premier dive shop! Sandra Clopp started Urban Manta in New York City to spend more time underwater and pass on her love of scuba diving.